Want To Study Forensic Psychology? 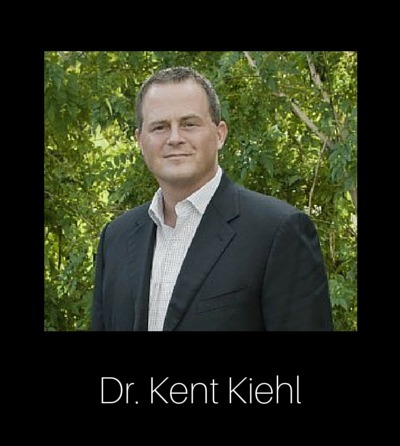 Dr. Kent Kiehl is a leading authority in the use of clinical brain imaging techniques to understand major mental illnesses, with special focus on criminal psychopathy, psychotic disorders, traumatic brain injury, substance abuse and paraphilias. An associate professor in the department of psychology at the University of New Mexico, with over 140 peer-review publications to his name, Dr. Kiehl is also co-director of the nonprofit Mind Research Network and serves as a legal consultant on criminal and civil cases involving neuroscience and law. What would you say is the most pervasive misconception about psychopaths? People commonly believe that doing a single bad act can earn a diagnosis of psychopathy. But psychopathy is a personality disorder, meaning that the traits have to be present in multiple life domains (i.e., family, school, business, etc) and be present for a majority of the person’s life. No single act, no matter how bad, is diagnostic of psychopathy. What do we now know about psychopathy that we didn’t when your professional interest in the subject began 20 years ago? We have a much better understanding of the brain systems implicated in psychopathy now compared to 20 years ago. This increased understanding has contributed to some novel treatments that appear to help manage the symptoms of the condition - at least in terms of reducing recidivism. Could you tell us about your latest book 'The Psychopath Whisperer' and the thinking behind the title? 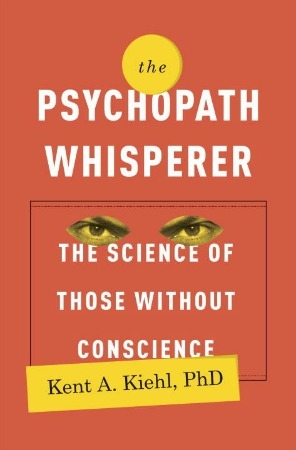 The Psychopath Whisperer weaves together several themes in the field of criminal psychopaths. The book opens with first person interactions with psychopaths in prison - to give the reader a sense of the type of person we are talking about. I then incorporate chapters on the latest science in the field and the final theme are chapters reviewing two case studies - Brian and Eric. We follow the two case studies from childhood, thru adolescence and into adulthood. The book culminates in presenting the outcomes for the two case studies and what we can learn from them. The title was selected in part with my editor at Crown/Random House. The book summarizes the latest neuroscience of psychopathy and how this has been used to help understand and treat the condition. I’ve included details of the best ‘whisperer’s’ in the field - those who have learned how to change the psychopath’s behavior and help them not relapse to new crime once released from prison. The book is really about the latest science in the field and how it is being use to change the bad outcomes we used to believe were just destined to occur in people with this disorder. In his glowing review of The Psychopath Whisperer, Robert Sapolsky, Professor of Neurology and Neurological Sciences at Stanford University states that we are fascinated by individuals "who have a reptilian indifference to what makes humans humane." What is it about psychopaths that drives your fascination? I have to echo Dr. Sapolsky’s sentiments, psychopaths are just completely different from everyone else. I share his curiosity and have always wanted to understand why psychopaths do so many bad things. If we can understand why they are so different from the rest of us, we are in a better position to avoid being victims and to help develop procedures, even preventative programs, that minimize the damage they cause. As an expert in the field, what do you consider to be the most important areas of research in the field of psychopathy. Recent advancements in genetics and brain imaging - these tools are truly unraveling the mystery of the psychopathic brain. The most exciting advancements in the next decade will be new translational treatments for psychopathy. Decompression therapy was designed by leaders at the Mendota Juvenile Treatment Center in Madison, Wisconsin. It is named for the process by which a diver slowly ascends from ocean depths to avoid nitrogen toxicity. Compression occurs in prison settings prisoners and correctional staff get a cyclical phase where the inmates behavior gets sanctioned; the prisoner responds with more bad behavior, the prison responds in kind with more punishment and eventually the inmate ends up in solitary confinement. Decompression works by breaking down that spiraling pattern. Good behavior by the inmate is positively reinforced, bringing about more good behavior. Rather than just punishment, rewarding good behavior has the advantage of bringing about better outcomes and less violence. This ‘contingency management’, aka positive reinforcement, program has shown surprising benefits. Inmates stop accruing new institutional charges/infractions and once released they also stop committing new crimes. This Decompression treatment is a true break thru in managing the highest risk offenders. In a recent interview for NBC News you said that that there was a whole part of the limbic system that you are really interested in studying. What part of the limbic system were you referring to? And what makes this particular area of the brain so interesting as far as research into psychopathy is concerned? The limbic system is responsible for helping to manage and control emotions. The specific parts we are interested in include the amygdala, orbital frontal cortex and anterior and posterior cingulate gyrus. These areas are the main circuits of the limbic system. We are trying to understand how they develop abnormally in psychopathy and how we might be able to exercise them to make them stronger - just like one exercises muscles. If we can improve the function of the latter circuits, we might be able to manage psychopathy better. What advice would you give to somebody thinking about pursuing an academic/clinical career which involves coming into contact with psychopaths? Be mentally prepared for working with tough clients. This career is not for everyone. Many students realize that psychopaths are very difficult to work with. But if you can compartmentalize the subject matter, it is a truly fascinating subject to study.